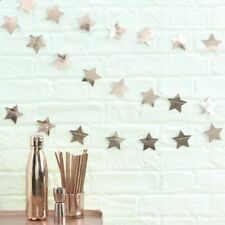 This rose gold Star Garland Bunting is perfect to hang at any celebration. Chic Foiled rose gold star bunting, is perfect for weddings and celebration parties. Great addition to any New Years Party! A simple way to add style to any party. 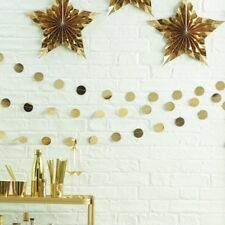 This gold Garland is perfect to hang at any celebration. This gorgeous foiled gold garland is perfect for weddings and celebration parties. Adds a real special feel to your celebrations. Beautiful Balloons Silver Star Garland - Lovely Christmas Decoration! 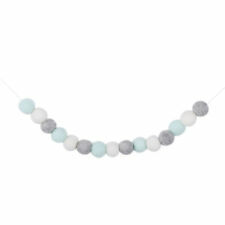 This pretty star garland is very glittery and perfect for many occasions. Beautiful star garland. Helpful Links. You and we both agree that the courts of England and Wales will have non-exclusive jurisdiction. However, if you are a resident in Northern Ireland you may also bring proceedings in Northern Ireland, and if you are a resident in Scotland you may also bring proceedings in Scotland. Decorate your party in colorful dots. 1 Red Polka Dot Paper Chain. 6m Assorted colours Quantity 1 Party Decoration Honeycomb design . 12ft Long Bright Green Paper Lantern Party Decoration - Parties Events & Celebrations. Dangling from the green cord garland are 8 green paper lanterns. A great decoration for any party or event. Ideal for parties - make an impact with this effective decoration! Amscan International - Red Paper Lantern Garlands 3.65m - 22055-40-55 Fancy Dress, Party Supplies, Balloons (supplied uninflated). Amscan T-Rex Pinata. Amscan Magical Unicorn Deluxe Pull Pinata. Amscan Fancy Dress. 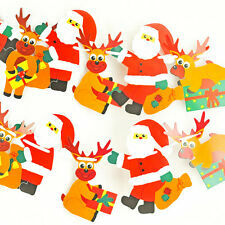 1 Piece Felt Bunting Garland Banner. - A beautiful and cute handcrafted banner. - Material: Felt, Ropes. 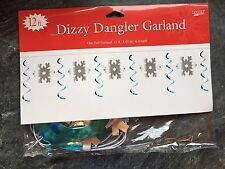 - Can hanging from either a wall hook, door handle or light fixture. As different computers display colors differently, the color of the actual item may vary slightly from the above images. 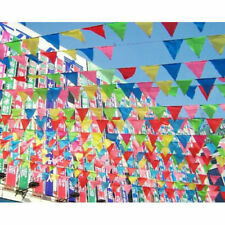 1 Piece Felt Bunting Garland Banner. - A beautiful and cute handcrafted banner. - Material: Felt, Ropes. - Can hanging from either a wall hook, door handle or light fixture. People always bought together with. Star garland length: total 40 m/ 130 feet, 4 m/ 13 feet of each star garland. Outdoors, you'll find a bounty of dazzling light displays, festive door mats, and beautiful battery-operated, pre-lit wreaths and garland. Amscan International - Kiwi Green Paper Lantern Garlands 3.65m - 22055-53-55 Fancy Dress, Party Supplies, Balloons (supplied uninflated). Amscan Pink Flamingo Pinata zoeparrot(19). Amscan Fancy Dress. 1 Piece Felt Bunting Garland Banner. - A beautiful and cute handcrafted banner. - Material: Felt, Ropes. As different computers display colors differently, the color of the actual item may vary slightly from the above images.